I love how this soup has friends, family and community farmers all in one pot – metaphorically speaking. 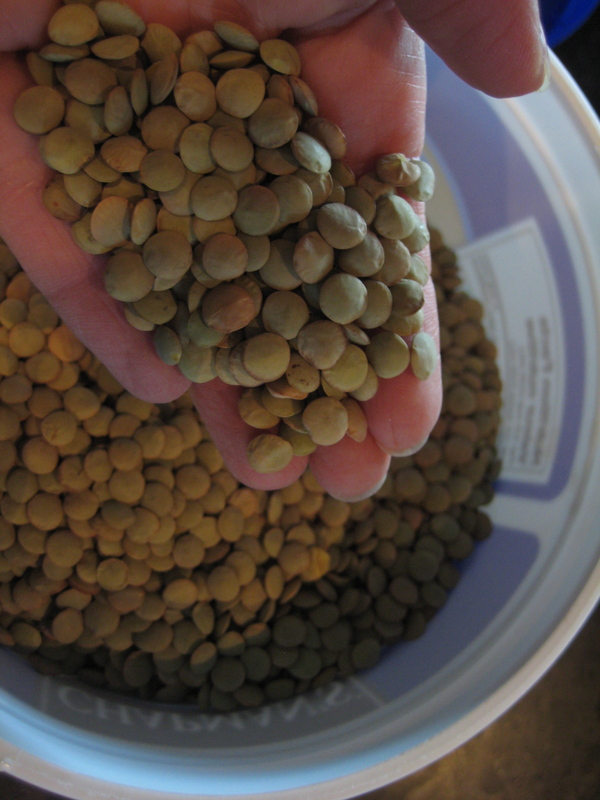 Our friend Dan gave us a big ‘ole container of green lentils grown on his wife’s family’s farm in Saskatchewan. I have been looking forward to making a pot of lentil soup for some time. My dear friend Kelly shared this recipe with me. It is a family favourite. Her and I were out for a leisurely tea remembering her sister and my good friend Jodie who passed away a year ago. Among many things, we shared nourishing soup recipes and ate a cookie in her honour, Jod loved cookies. 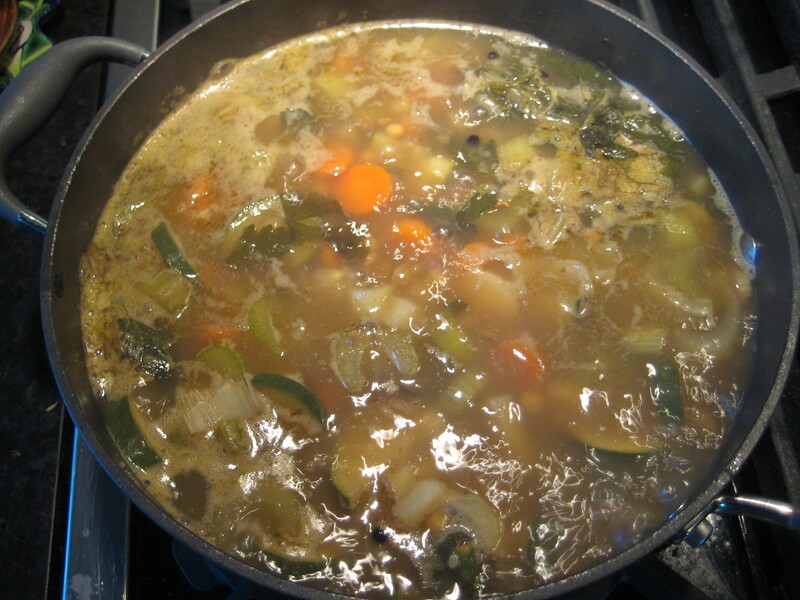 As well, our family suffered the loss of my cousin in recent weeks, he was known to be the cook in the kitchen himself (runs in the family eh) – so it seemed fitting to put a pot of soup on the stove this weekend in remembrance. This couldn’t be a simpler recipe, and as Kelly says, she rarely follows the recipe, so I did the same. Here is the recipe and my additions below. Saute the veggies first, until they start to sweat. Add the rest of the ingredients, bring to boil and simmer on a low boil until lentils are soft. Add the lemon and hot sauce, serve. I have a similar recipe, but add 1 tbsp of paprika, 1 tsp basil, 1tsp oregano, 1 tsp corriander, and 2 tsp veg Worcestershire sauce.